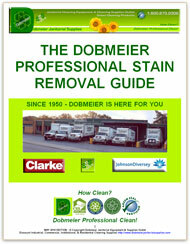 Or Ask A Dobmeier Janitorial Equipment & Supplies Expert For Personal Help! Airborne Foul Odors May Be Generated From Soil Or Pathogens Residing On Surfaces Or In Sub-Surface Porosity In Your Home Or Facility. Find Out How To Control Your Odor Problems. 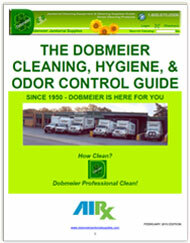 The Hygiene & Odor Control Experts At Dobmeier Recommend AIRX Products For Safe & Effective Odor Control In Your Home Or Facility. For safe and effective use of these products, always follow the manufacturer's label instructions, paying special attention to the recommended product dilution rate and contact time. 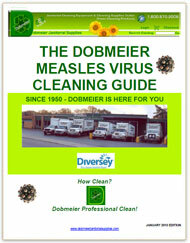 Is The Measles Or The Mumps Virus Spreading In Your Facility? 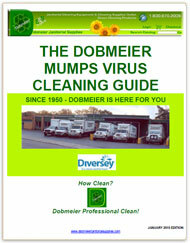 The Institutional Cleaning Experts at Dobmeier Janitorial Supplies Outlet recommend the use of Diversey EPA and DIN registered products for infection control. Some products include claims for enveloped viruses, others for non-enveloped viruses. For safe and effective use of these products, always follow the manufacturer's label instructions, paying special attention to the recommended product dilution rate and contact time. 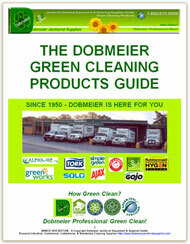 Need Advice On Cleaning Carpets, Rugs, Or Mats? 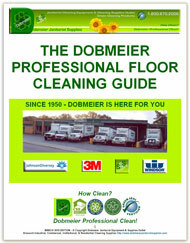 Cleaning Stone Floors & Concrete Floors? Cleaning Synthetic Floors From Asphalt To Vinyl? Cleaning Manually Or With Janitorial Floor Machines? 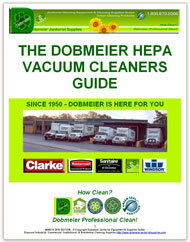 To Speak With An Expert Call 1.800.870.2006 - We Ship Anywhere In N. America!